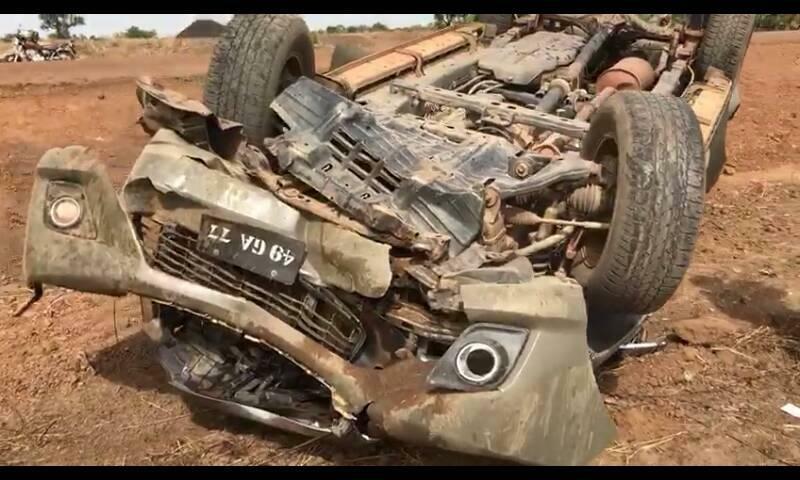 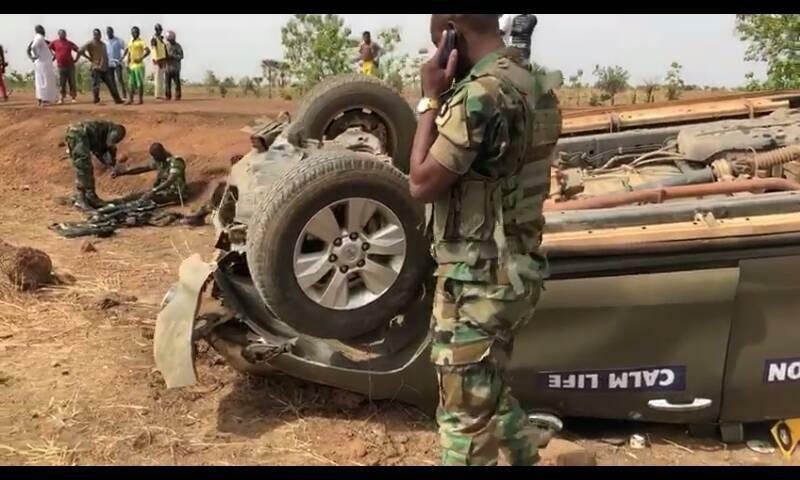 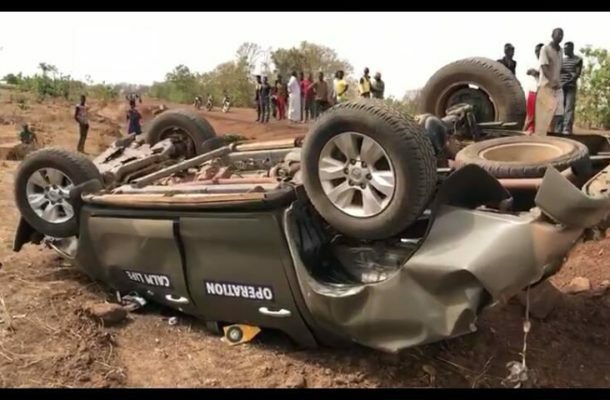 An Operation Calm Life vehicle with car registration number 69-GA-77 has overturned and military personnel are said to be in a critical condition. 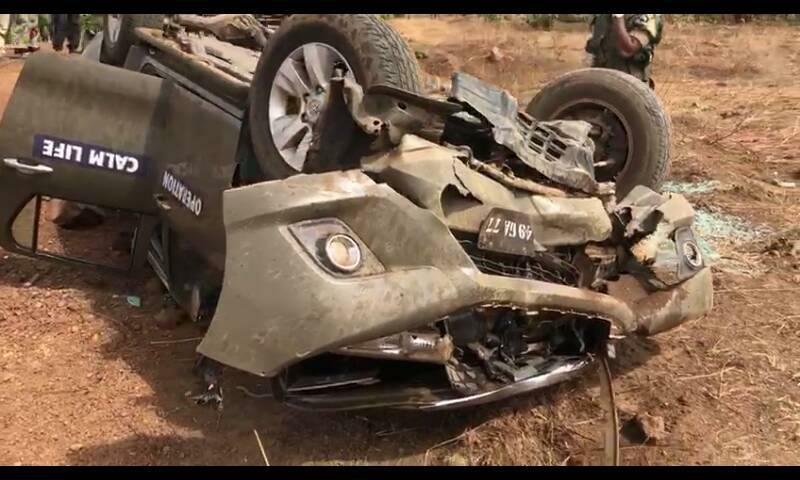 Some officers are seen administering first aid at the scene of the accident. 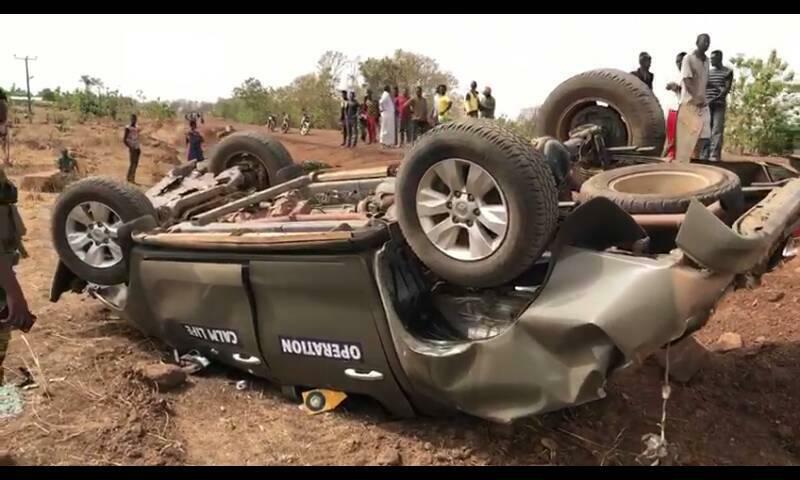 The 'Operation Calm Life', is made up a team of Military and Police personnel which is aimed at combating criminal activity in all parts of the country.